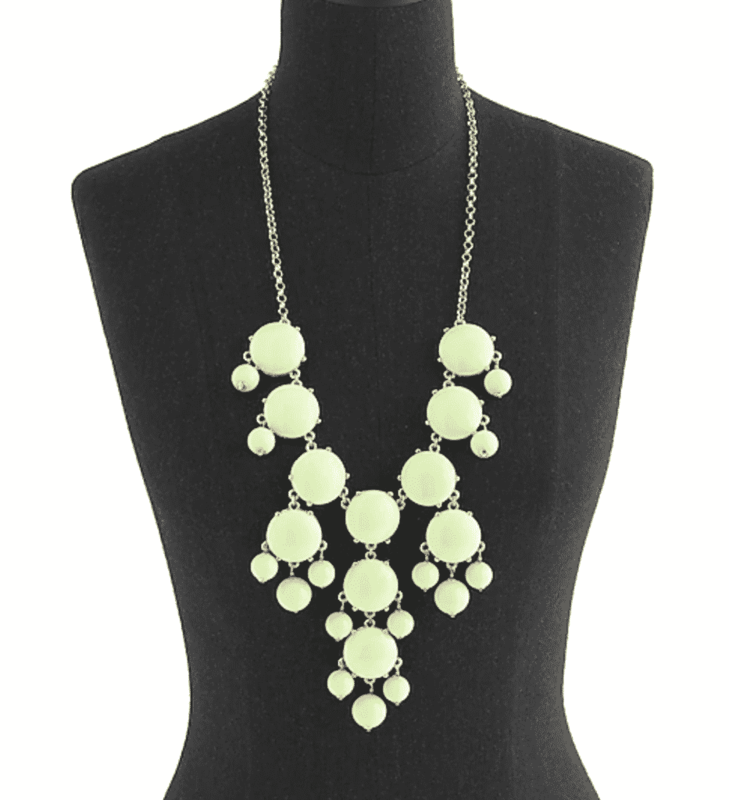 There is something so chic about the Bubble necklace trend, right? I just love the bold statement that they make when you pair it with a simple shirt or dress. Nothing says summer to me than this jewelry type. This accessory is definitely suited for the warmer months and makes me want to pack a suitcase and jump right on a plane to someplace that serves frozen margaritas! If you are someone who loves to dress in JCrew, Lilly, or Vineyard Vines – then odds are you are very curious about this trend. Very country club-esq. Polished and put together but with a flirty and fun vibe as well. A statement necklace with attitude. I am all about statement necklaces. How about you?! Whenever I see one on a friend, I have to touch and feel it!!! I’m a tactile kinda girl. 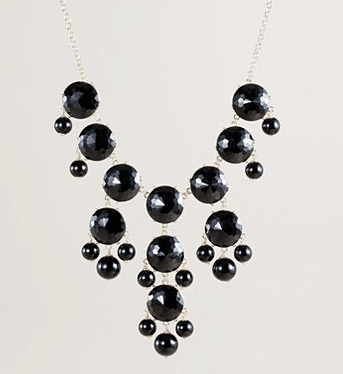 JCrew is predicting that the bubble necklace will be HOT this year. Check out this fab number. What do you think about the look? 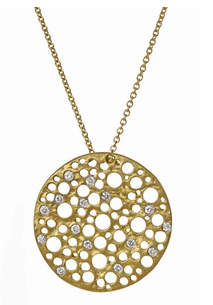 Personally, I prefer to go with a diamond version – like this Meira T Gold And Diamonds Bubble Necklace from maxandchloe.com. Unfortunately, I don’t have $990 to throw away. YIKES. My husband always says that I have the best taste… or the worst taste … depending on if you are talking about the wallet or the mind. What do you think? Something you’d want to try out this year? I’m with you Vera not so much a fan of that one!